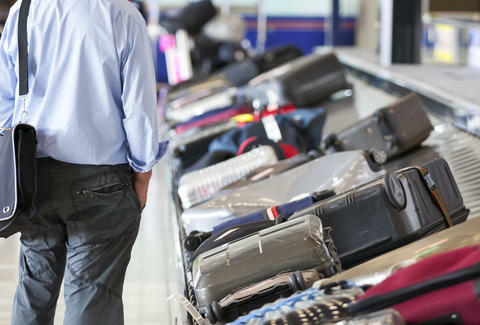 In a move that isn't likely to improve public perception of airlines, the Trump administration rescinded an Obama-era proposal this week that required carriers to disclose their baggage fees to customers. The Department of Transportation concluded that the baggage-fee protections were of “limited public benefit,” according to a report in The Hill. Now, whether purchasing a ticket through a third-party booking site or an airline directly, it's possible you won't see any baggage fees tacked onto the initial price of a ticket until after the purchase. The DOT also plans to withdraw a plan requiring airlines to report how much revenue they make from charging "ancillary fees," such as money collected from extra-legroom and checked bags, per the Hill report. Airlines are still required to show these fees on their websites, although consumer groups are fearful that less regulation will encourage airlines to charge higher prices for ancillary fees with no consequence. The Trump administration's reversal comes after Delta Air Lines announced plans to charge fees for checked baggage on flights from the US to Europe and North Africa. The extra Delta fees are for customers flying in the carrier's Basic Economy cabins, and provide an avenue for the legacy carrier to compete with upstart budget airlines that have been growing in popularity by offering low-cost transatlantic flights. “This is NOT how you make air travel great again. Airlines are already exempt from all state and local consumer protection, much antitrust law, most other federal regulations and tort law. The DOT is their sole regulator. If the DOT refuses to correct abuses or enforce existing regulations, and repeals existing regulations, airlines will be the first US industry to have stripped the public of all economic protections from unfair predatory practices."